Justia Lawyer Directory Law Offices of Rhonda Hill Wilson, P.C. About Law Offices of Rhonda Hill Wilson, P.C. Philadelphia injury lawyer Rhonda Hill Wilson fights for the rights of injured persons and their loved ones. Since 1994, attorney Wilson has represented clients in injury cases, such as those involving medical malpractice, brain injuries, nursing home abuse, wrongful death and car accidents. 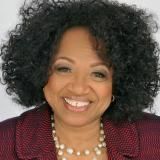 Rhonda Wilson is admitted to practice in New Jersey and Pennsylvania and is a member of numerous federal bars, including the U.S. Court of Appeals for the Third Circuit. Email Law Offices of Rhonda Hill Wilson, P.C.